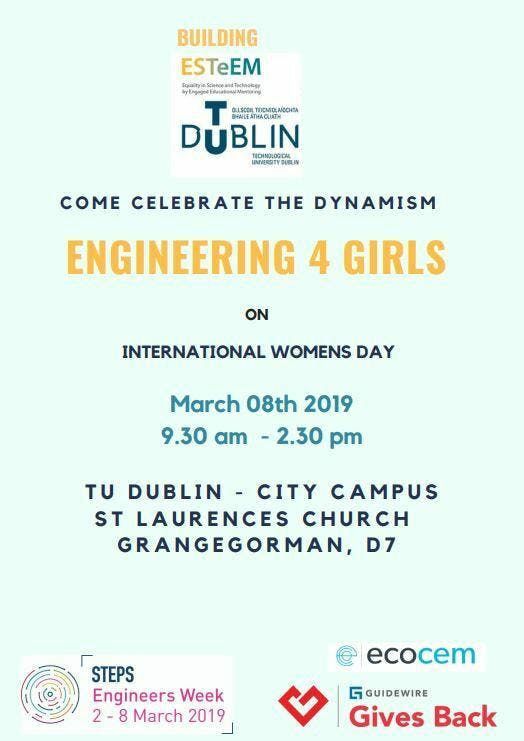 Come celebrate International Womens Day at an Access Service - Building ESTeEM event in TU Dublin City Campus for an exciting and innovative look into the diverse world of engineering through a series of workshops and mentoring activities. This Building ESTeEM is an Engineering 4 Girls event which brings TU Dublin Staff and graduates from DIT who are now successfully working in industry together with TY and 5th year female students from TU Dublin Access Partnered and Linked schools. 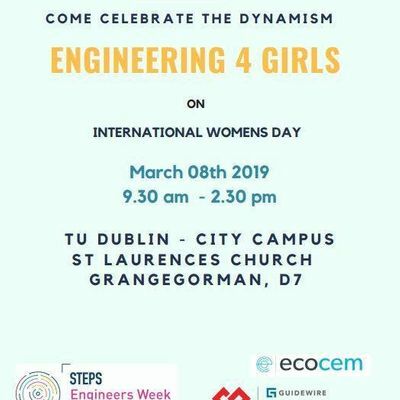 TU Dublin Access Service have teamed up with STEPS Engineers Ireland and Guidewire along with the College of Engineering and Built Environment during Engineers Week highlighting how a career for girls in engineering is accessible fun and possible . Watch a live ultrasound scan, discover how engineers can 3D print a new hip joint, and even how we can preserve our bodies after death! In this workshop, we'll write songs using both acoustic instruments and the latest technology. In the first half, we'll compose and complete tracks on MacBooks, learn about beats and tracks. All students start and finish the event at the same time. Students/Schools that register for this event will recieve an infomation pack followed up with contact from the Access Service team in advance of the event.